"I ordered some of that cool chalkboard fabric quite awhile ago with the intention of making gifts for some small people that I know. 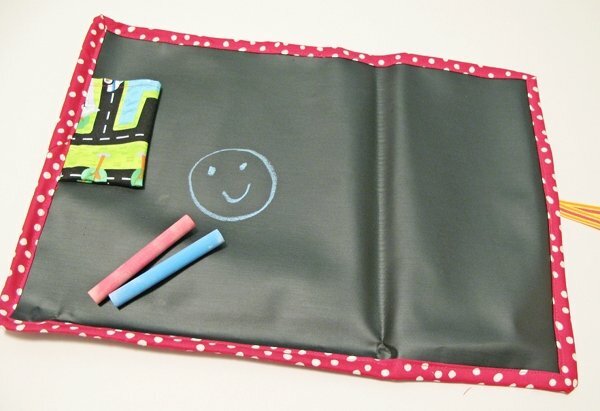 My nieces already had one of these roll-up chalk mats and I think they got some good mileage out of it in entertaining themselves at restaurants and other places on the go, so I thought I’d try to reconstruct that as a gift for others." 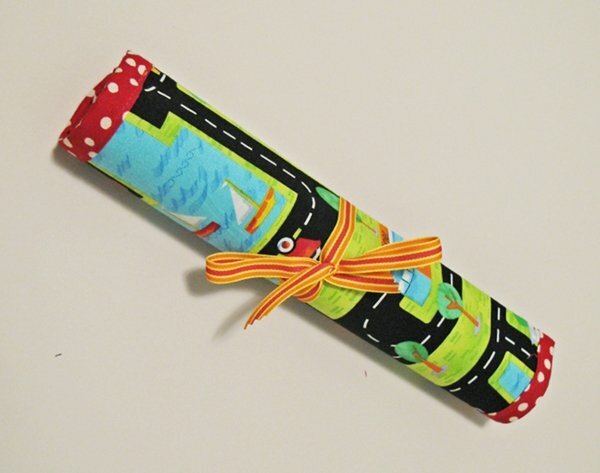 What do you think of this travel mat?